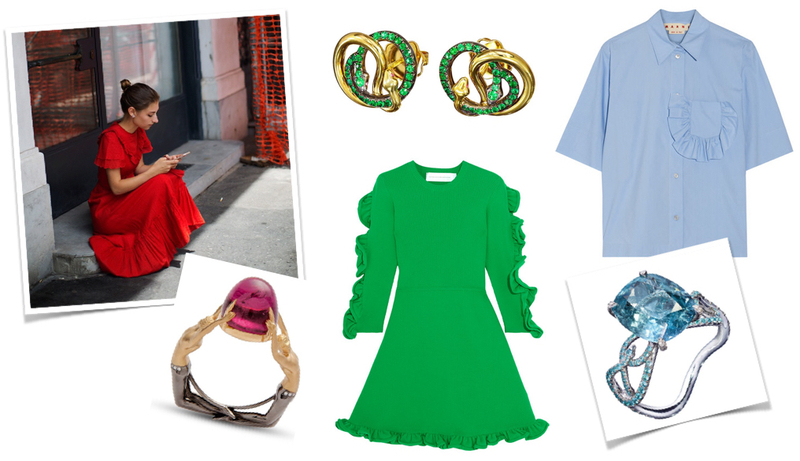 From Gucci and Chloe to Victoria Beckham and Marni, ruffles have been a summer staple for 2016, adding softness and cascades of layering fabric to simple shift dresses and boyish shirts. With both structured and soft materials, we’ve fallen in love with the romanticism of ruffles, teaming the juicy gems of Aenea’s flowing Sarpa collection – which takes inspiration from serpentine shapes – with our favourite ruffled pieces. Deep golden hues, zesty lemon and rich sunset orange have been the hottest summer palette this year, bringing a smile to our faces and leaving us longing for weekends on the Amalfi coast. In fact, these fresh tones have lit up both our wardrobes and our jewellery boxes. 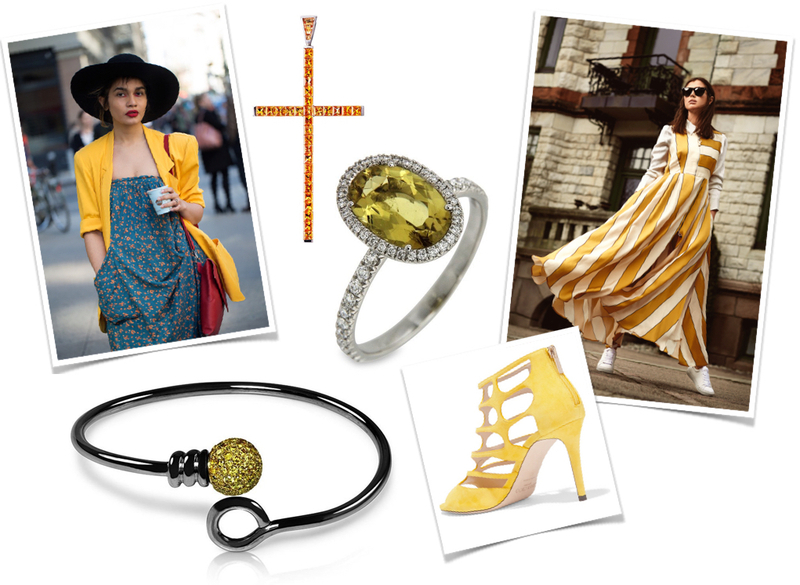 Add a splash of yellow to your summer outfits with our yellow diamond Lazo Bola bangle, or for subtler sparkle Aenea’s yellow tourmaline Candy ring is the sweetest finishing touch.